KD specializes in knowing how the end-user will utilize their detection/analytical equipment to accomplish their given mission, whether it’s the First Responder, Military, or even the environmental advocate researching pollution in the field. All branches of the military have COTS equipment to be utilized in rugged terrain for the safety of both civilians and soldiers. KD focuses on the need for these equipments to be ready at a moment’s notice with all the support of our SME staff to help get the right answer the first time. As the first line of defense, our First Responders have a unique role in protecting our population. With a quantity of equipment and limited time to train because of their mounting responsibilities, KD’s support staff makes training and refreshing skills easy and on your schedule. You wouldn’t go into battle without all of your weapons, why take the chance on responding to an incident with an untested piece of equipment or operator? KD staff can show you just how much your department will benefit from our world-class support! Overall, those in the government sector have one mission, protect our nation. KD provides the necessary training and support to ensure that these operators have both the skills and availability of equipment to complete just such a task. The private sector encompasses a wide variety of businesses and persons who each have a unique role in the utilization of high-end COTS equipment. By working with KDs highly trained staff, we help to minimize time on-site while maximizing results to provide more results with less overhead meaning more time at home, while maintaining your delicate profit margins. A team of Chemists and Biologists with on-site experience completing environmental analysis with a multitude of analytical equipment. Reach-back with a documented track record of success to allow your job to continue without the added cost from equipment related downtime. Extensive knowledge in cutting edge technologies such as the direct push membrane interface probe technologies (MIP) to get the job done fast. Method development assistance to focus on the specific site needs. Experience with quality control measures required by the governing offices in your area to ensure that the data you collect is useful and validated. 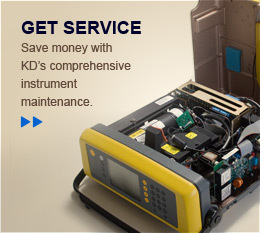 KD strives to cater support and training to your needs. First Responders live and die on speed and reliability, we match that task. Environmental consultants depend on accuracy and reproducibility, we match that task. Your job is important to us here at KD, tell us how we can serve you, and we will match the task.